To restore the backup of your Pagekit website, you will need two things – the files of the website and the database the website was working with. You need to move the backup of your Pagekit files to the location, where you wish to restore it. This can be done by using an FTP client or directly via the File Manager service within your cPanel account. Make sure that the directory you wish to restore your website is clean. In order to restore the database you will need a new, empty database to start with. For more information on how to create a MySQL database and username, please check our cPanel tutorial on How to create MySQL Database. 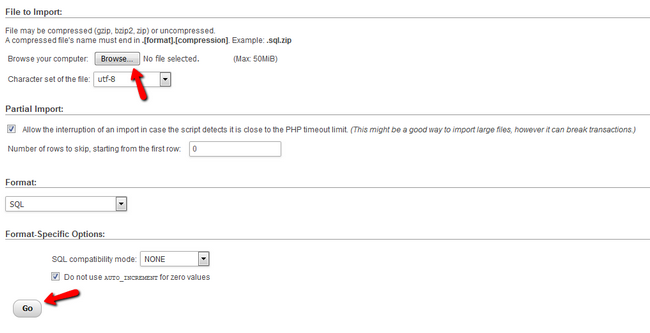 Then, you need to log into your cPanel account and navigate to the phpMyAdmin service. Select the newly created database. 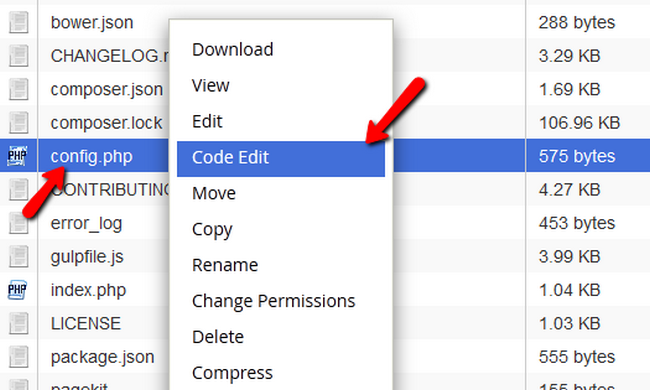 Select the backup file you have previously downloaded to yourpersonal computer and then hit the Go button to initiate the import. By completing both of the previous steps, you now have a directory on your account, which contains all of the files and folders of your Pagekit website. You also have a database, which is a copy of your previous database used by your website. Now, it is time to configure them. You will need to edit the the configuration file of the application and enter your new database details. The configuration file for Pagekit is located in the root directory of the application and is named config.php. You can edit this file using your cPanel’s File manager. For more information on this file visit out Configuration File tutorial. You will need to edit the first few lines that define the database parameters with your new database’s details. Once you are ready editing, click the Save Changes button located at the top right of the page and your website will be fully restored. Well done!